villa con 3 camere in affitto per le vacanze a Moraira (El Portet). Controlla tutti i dettagli, le foto e le recensioni dell'immobile n° 23695. 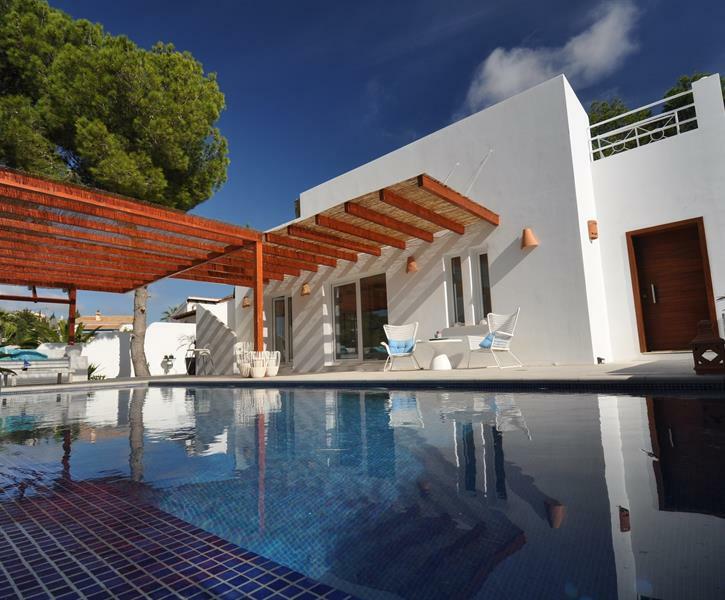 Beautiful modern villa, very well equipped with lots of outside space and seating and a great pool. Nuova Villa in stile Ibiza a El Portet. New Ibiza-style villa with 270° sea, valley and mountain views. One-floor house with infinity pool. 3 Bedrooms. Large living room with integrated kitchen. 5 Terraces. Full Airco. 3 persone hanno trovato utile questa recensione. 5 persone hanno trovato utile questa recensione. Fantastic villa with all the modern conveniences, Beautiful pool and surrounding garden terraces. The views from the roof terrace were particularly lovely in the evenings where we enjoyed the use of the BBQ area. I would most certainly recommend this villa. Hopefully we'll be back next year. 7 persone hanno trovato utile questa recensione. 2 persone hanno trovato utile questa recensione. My husband and me, we are 70 years old. We was in the house with our 3 little grandchildren.We was extremely happy. The place, the villa, the sun, the chil out and also the host especially Elena, was extraordinary. Villa is close to the beach, clean, comfortable, with many utensils and high quality. Elena y Rafa helped a lot with every minor issue even not in connection with the villa. The detail of welcome was exquisite. Thank you guys for making our holiday absolutely fantastic.